Lots of interesting news last week as the Chicago show opened to the press on Wednesday. Even though pressing business here in Detroit kept us from attending, there is plenty of news to report as the largest auto show in the country saw new model releases from numerous manufacturers. 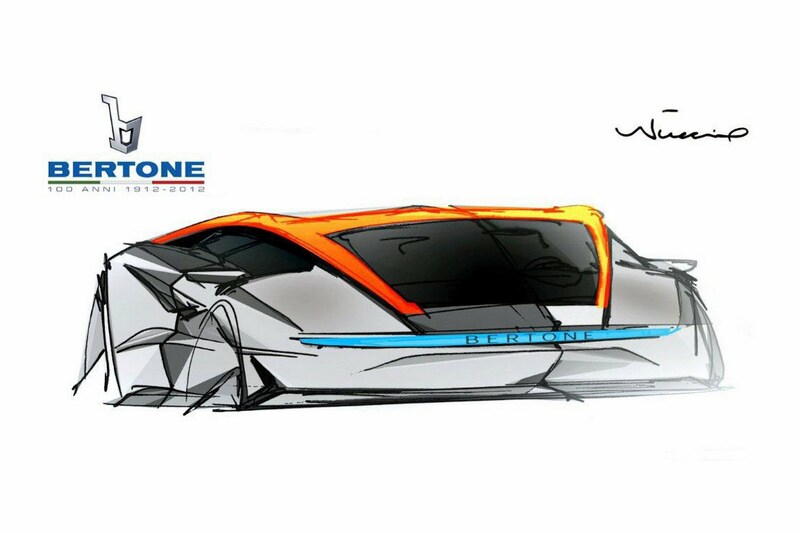 In advance of the upcoming Geneva show, Bertone has unveiled some sketches of the car that will mark their 100-year anniversery. Named after the former CEO and son of founder Giovanni Bertone, the Michael Robinson design will mark a return the the wedge shapes that made them famous in the sixties and seventies. Just to show how many journalists have no idea what they are reporting on, the online news media had numerous articles about crowdsourcing the design on the next 370Z. No, this wasn’t a new design contest for all the aspiring auto designers. Rather, Project 370Z is a facebook vote on which modifications to make to a car that will debut at an upcoming event. Pop by the Nissan Performance Facebook page to cast your own vote. Or if you have some sketches I would be happy to forward them to the Nissan Design office, contest or not. There are a ton of posts online about the new Acadia. Here is the news from Autoblog and Jalponik, but my favorite has to be the eagle eyes at Car and Driver. Seems the refreshed Acadia is actually more of an Outlook 2.0. Hyundai brought out a couple of variations of the already impressive Elantra – the Coupe and GT (see Jalponik’s GT write-up here). Car and Driver wonders why there they introduced a coupe to compete with their own Veloster – I am thinking the Elantra architecture now has a 2-door, 3-door, 4-door, and 5-door option. Can a 6-door Elantra be far behind? or do you think the 1-door is next? Kia shines with what many call a Mini-wannabe, but the idea of only 2 seats and a place for track equipment has me sold (even if I drive a Mini and this Mini website says they still have a way to go). This is about the only car that could stand in the way of my next hoped-for project, a B-Spec race car. The LA Times had a nice article last week on the Zagato including an interview with Aston Martin’s Design Director Marek Reichman. The design was the result of a competition between Aston Martin’s in-house team and Zagato, with the winner to be used to celebrate 50 years of the DB4 GT Zagato. Last week Bentley announced they have finally found their new Head of Design (drumroll please) – David Hilton. Read the Press release here. On a non automotive note – while we may all believe the world revolves around the auto industry, this puts things in some perspective. This entry was posted in Auto Design Week in Review and tagged 1961 Aston Martin DB4 GT Zagato, 2012 Chicago Auto Show, Aston Martin V-12 Zagato, Bertone Nuccio, David Hilton, Giovanni Bertone, GMC Acadia, Hyundai Elantra Coupe, Kia Trackster, Marek Reichman, Michael Robinson, Nissan 370Z, Project 370Z. Bookmark the permalink.